Shelby messaged me yesterday and asked if I wanted to go to Ammos Authentic Greek Cuisine off Great Neck Rd. for lunch. Her co-worker said she wouldn't mind checking it out—cool—we haven't been either! It's Virginia Beach Restaurant Week and they were participating in the $10 lunch special. 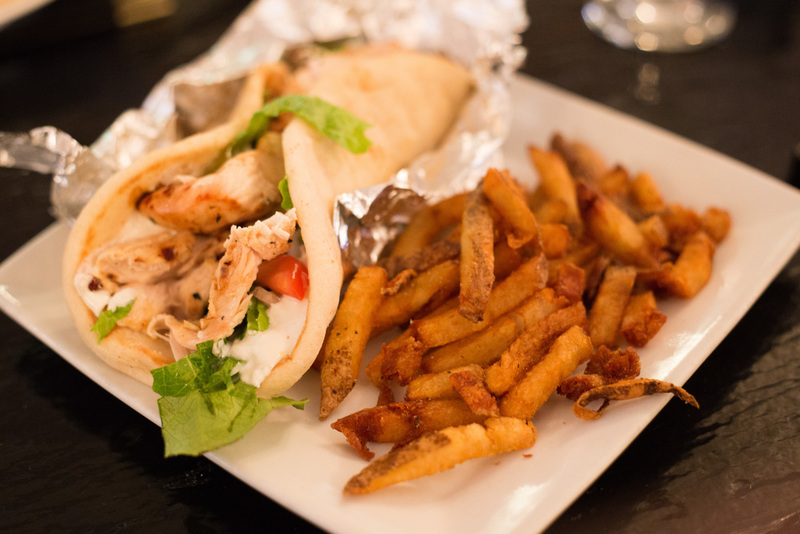 I remember being at Yiannis Wine Shop last year and Yiannis said I had to check out the Greek place across the street. He said the food was very good and authentic, I assumed he knew what he was talking about since he was from Cypress. Yiannis even offered to pay for dinner if Shelby and I went to check it out. I declined his generous offer and promised that I would check it out. Sadly it took me several months but we finally made it and we weren't disappointed. I met Shelby and her friends Crystal, Laura and Jonathan who were already seated. There were supposed to be 6 of us but one of them couldn't make it, no worries though, seating was readily available for them when walked in arrived. Our server, Adriyan, promptly offered water and asked if we wanted anything else to drink. The Restaurant Week menus were on the table, we checked out what was being offered. 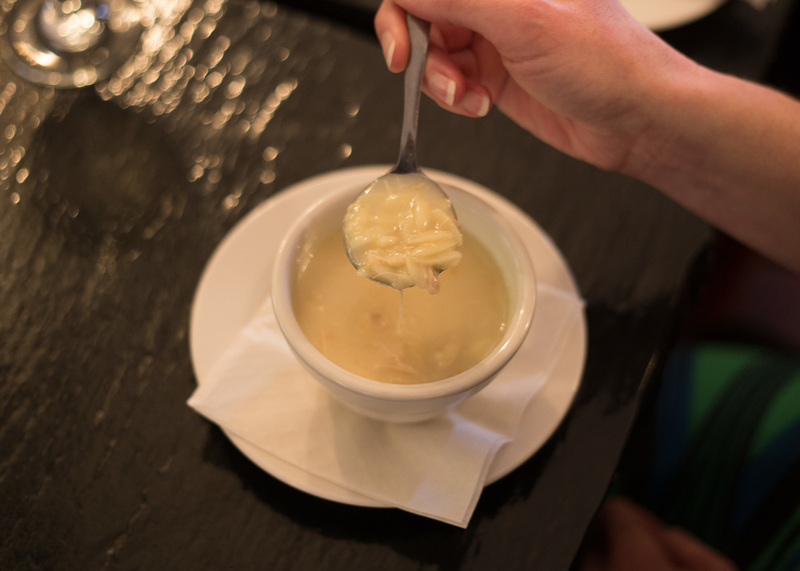 I already knew Shelby would go for the Lemon Chicken Orzo Soup, she loves that stuff. I saw a Greek version of Baba Ganoush called Melitzanosalatawas available with the pita so I ordered that. Crystal, affectionately known as “Turd” had the Lemon Chicken Orzo too, Laura took the Spanakopita and Jonathan had a cup of Lentil Soup. Adriyan was a great help explaining what was available and what might be the best bet when ordering courses. She told us the Lemon Chicken Orzo is on the normal menu, but the Lentil Soup was a special for Restaurant Week. I think that had Jonathan lean towards the lentil which he ultimately ordered. Adriyan went over the our second course options and I decided I'd go with the Chicken Gyro since Shelby was ordering the Greek Salad with Gyro. Laura and Jonathan both went with the traditional gyros plates and Crystal had the Mediterranean Pasta. After heading back to put in our orders she quickly returned with our first course meals. My Melitzanosalatawas was served with a generous amount of soft pita for dipping. I liked the texture and it had plenty of garlic, which I love. I don't know if Shelby will later when we were home though. I didn't get to try the soups but the feedback was good. I was snapping photos of peoples plates but didn't get a shot of Laura's Spanakopita, she had already ate half of it! Before we could finish out the first course the second came to the table. The portions were good and everything smelled great. My Gyros plate came with fries so I started picking at them. I have a tendency to always eat my fries first—I have no idea why, been doing it since I was a kid. I pinched off a piece of the grilled chicken in my pita and it was cooked perfectly. Moist, a little grill char on the outside and seasoned nicely. The sauce and vegetables in the pita wrap blended well and I didn't have a problem finishing the whole thing. Shelby's salad looked good and she was getting into the feta cheese and olives. 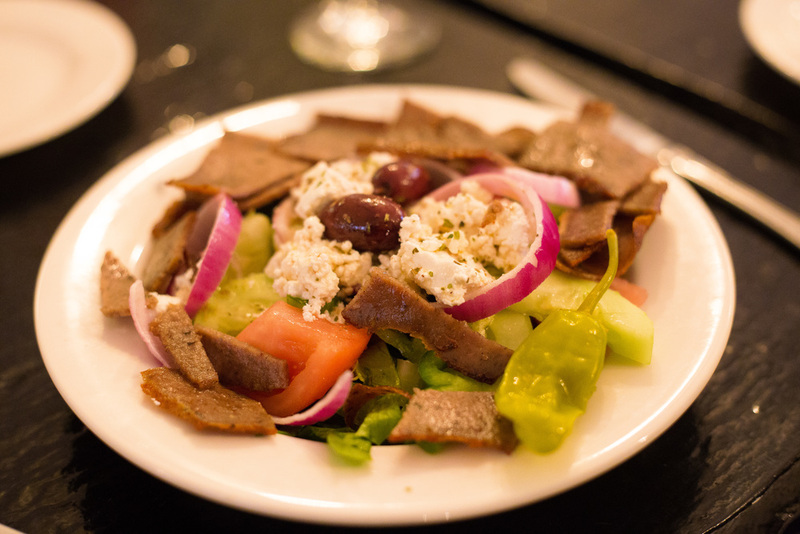 The gyros meat on the salad was the same in the Gyros meals and it was standard fair, what you would find in most Greek restaurants. Crystal seemed to be enjoying her pasta which had sun dried tomatoes, capers, onions, olives and a few other things including a white win garlic sauce. All in all it was a good meal and the service was great. I'd like to come back and hit the regular menu for a proper dinner sometime. I love lamb and I bet they have a couple of great plates with it. Their Restaurant Week dinner menu does have a braised lamb on it, so maybe that's an option? Maybe next time, we try to head to different restaurants during Virginia Beach Restaurant Week to try places that are new to us. Can't wait to see where we end up next!